I used to agree with a lot of statements like this. I thought feminists were only doing harm to themselves and others, and I proudly proclaimed that I was not a feminist. What changed my mind was learning that a lot of what I thought feminists believed was false — including the idea that gender oppression only affects women. Some of it was just myth, things that anti-feminists said feminists believed. Some of it was taking the words of one or two feminists and assuming they spoke for the whole. Nobody can speak for all of feminism, including me — and I especially can’t speak for how a/gender minorities besides cis women experience feminism. But I did learn over time, through getting to know more people who identified as feminists, that the things I thought were basic and fundamental to feminism were exaggerations, or belonged only to some more fringe groups. One of the biggest misconceptions about feminism is that it’s a movement for women, by women, and made up of women in opposition of men. In truth, not only should feminism should benefit everyone, as it works to dismantle all systems of oppression, but it shouldn’t be based on this binary gender thinking in the first place. Not only men and women exist, and they’re not opposites in a binary. But a lot of the ways in which anti-feminists conceptualize feminism is based on this untruth about women versus men. And in order to address those specific misconceptions, I’m going to speak from that place. Non-binary people may recognize themselves in these experiences as well, but those experiences (especially insofar as erasure is concerned) are unique, and I’m not qualified to speak on them. 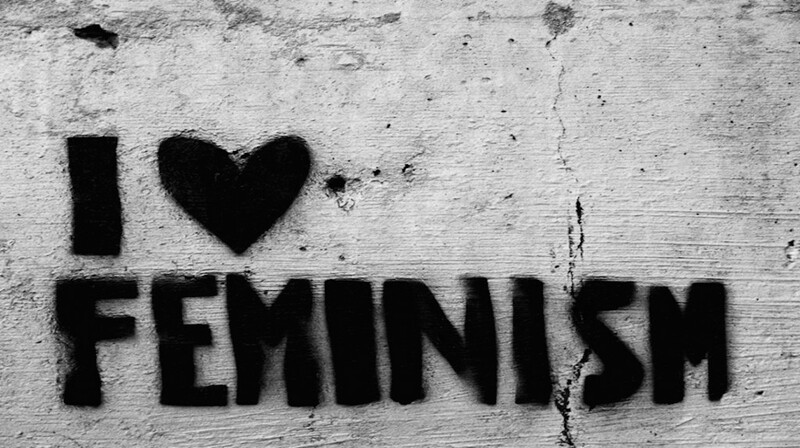 I’m not here to say that all women should call themselves feminist. There are good reasons not to, including the ways feminism has failed to be intersectional and meet the needs of people of color, trans and gender non-confirming people, and others. But if you are anti-feminist and agree with some of the quotes that I started this article with, I’d ask you to read on and consider that the truth about feminism might be more complicated. There’s a lot of truth in this argument: Women have come a long way, baby. As a woman, I’d rather live here and now than almost any other point in history. And I’m not denying the struggles that many girls and women around the world face, or claiming that mine are equal to theirs. But it’s not true to say that sexism is dead. We may have slain the giant dragon of institutional sexism, which insisted that women fill an inferior role in the world, but there is still a hornet’s nest of sexist culture that lives on. And while I’d rather be stung by a dozen hornets than be eaten by a dragon, that doesn’t mean that I don’t have a right to complain about the stings. When I’m in a professional meeting with men, I often have to fight to get my voice heard — and if I talk as much or as confidently as the men do, I may get labeled “bossy” or “shrill.” When I leave the house, strangers feel free to comment on my body, which makes me feel unsafe and exposed. Men I meet tend to evaluate me first as a sexual object, and only second (or never) as a competent or interesting human. They don’t make it impossible for me to have a good job, to go about my day, and to have the kinds of relationships I want, but they do make it harder. Any one thing by itself would be no big deal, but in time they add up. Just like you can brush off one hornet sting, but if you got stung every day, multiple times a day, all over your body, you might start to get really, really bothered by it. Now, when I talk about the ways sexism hurts me, I’m not whining or making things up. I don’t think of myself as a victim, and I don’t actually enjoy complaining. I’m also not saying I’m not glad I have the freedom to vote, to apply for any job I want, and to be viewed as a full legal human. I’m just saying that I’m still hurt by sexism, and that I want the world to be better for myself and other women. It’s true that some women are capable of overcoming every obstacle that sexism puts in their way. We have women heading up corporations, pioneering scientific discoveries, and this past election, a woman came incredibly close to being elected the next president of the United States. Powerful, successful women like Oprah Winfrey, Sally Ride, and Melinda Gates prove that women can do anything men can, even with the added burden of institutional sexism. But the strength of these women, while I admire and celebrate it, shows off a part of the problem. Among CEOs of Fortune 500 companies, for the last several years, between 20 and 25 have been women — around 4–4.5%. Those 20+ women are impressive, and their achievement shouldn’t be underrated, but that percentage is discouraging. Less than 5% of Fortune 500 CEOs are women: If that doesn’t show that sexism is still making it harder for women to reach the top of their field, what does it show? I simply don’t believe that men are, on average, 19 times better at corporate leadership skills than women. Similarly, many women in scientific fields have talked about the barriers that keep them from advancing, and often that keep them from staying in the field at all. Sexual harassment is a huge problem in the academic world, and causes many women to leave promising careers because they can’t handle the dehumanization, and because their work is taken less seriously than their sexual potential. Many women stay in STEM fields anyway, and achieve great things, but many other women, just as capable, have to leave. Feminism doesn’t say that women are weak: It just says that, to succeed in any given field, women shouldn’t have to be so much stronger than the men they’re working with. I admit that I often feel frustrated with “men” in the abstract these days. Having been harassed, belittled, and taken advantage of by so many men, I am a little wary when meeting a man I don’t know. However, there are also a lot of men I love, respect, and trust. I don’t hate “men,” as such — I hate toxic masculinity. Toxic masculinity is the set of rules and expectations we have for male behavior — including how men are supposed to treat and think about women. Toxic masculinity is what tells men it’s not okay to cry, and it is okay to catcall women. Toxic masculinity is what tells a man that his worth is in gaining power over others, and that it is shameful to have a woman beat him at anything. Men are pressured to be high achievers and always competing with each other, which creates stress. The expectation that they will always appear powerful and in control makes it hard for men to ask for help. They’re shamed and ridiculed for stepping outside the bounds of “acceptable” masculine behavior. All of this makes it harder for men to get through the world. Feminists don’t want to destroy or oppress men: They want to destroy toxic masculinity, to let people of all genders see how damaging it is to all of us. It’s true that feminist movements tend to be headed by people who don’t feel the status quo suits them. It’s also true that some feminists look down on conventional ways of being feminine — and that’s a problem. There’s a thing we call “femmephobia,” which is the attitude that anything traditionally associated with women is inferior. It’s the reason keeping up a home and taking care of children isn’t viewed as a “real job.” It’s the reason books, movies, and music that tend to be enjoyed more by women are seen as fluff. People all over the gender and political spectrums can fall into femmephobia. Sometimes feminists do a good job of questioning why “girl stuff” is considered less valuable and worthwhile, and sometimes we fall into the trap of looking down on it. What’s important to me, as a feminist, is not steering clear of traditional femininity. It’s getting rid of the assumption that women should be feminine and men should be masculine. There are definitely some people that do fit very comfortably into the roles their culture put them in, and that’s great for them! Obviously, there are also plenty of people who don’t. Housekeeping and childrearing are skills just like any other, and some people — of any gender — find that work interesting and rewarding (I’m one of them!). I want to see a world where those skills are considered valuable for anyone who wants to pursue them. I also want to see a world where makeup, fashion, and beauty are respected as the arts they are. Even submissive or “follower” relationship roles, which might seem at first glance to be obviously an inferior position, aren’t necessarily so. Many people feel happiest and most comfortable playing first mate to someone else’s captain, and doing that well is a relationship skill all its own. I’d like to see a world where people are free to find the balance of leader/follower dynamics that work best for them, whatever their gender. Feminism isn’t about flipping the script of gender roles, where women are powerful and in charge and men are submissive. Feminism is about increasing the freedom we all have to find the roles that fit us best. Changing my view of what feminism meant was a little scary for me — it was comforting to tell myself that women had achieved equality, and that any issues I might experience with sexism were just isolated, one-off events. Eventually it became clear to me that that just wasn’t true. All the little moments of sexism I experienced were connected, and other women faced more intense and constant discrimination that came from the same source. We still had a steeper hill to climb than men — and while I didn’t want to believe that at first, in the end, I found it a source of strength. I don’t like or agree with every feminist, but I find strength in the fact that we have experienced some of the same struggles, and are still working and succeeding. When I get tired and frustrated, there’s a whole community of other feminists to support and encourage me. Most importantly, I find strength in knowing we’re committed to making the world a better, easier place for each other and the women that come after us. This article originally appeared on Everyday Feminism and is republished here with permission.